Normal market drivers and influences were turned on their head this week. On Wednesday, the A$ fell and so did the market, while on Thursday the market rallied with the A$ ending the week up by almost US$0.015 cents. This caused the EMI to lift across the week by 6 cents while in US$ terms it was higher by 27 cents. With only Sydney & Melbourne selling, the clearance to the trade of just under 22,000 bales was easily the lowest for the season (Fig 2). To compare with the same period last year, wool sales; more specifically “clearance to the trade”, are on average 4,000 bales per week lower. 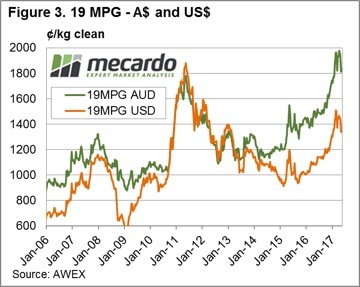 Main interest is in wool with less than 5.0% VM, and as reported in Andrew Woods article VM Supply & Discounts, 2006, 2011/12 and this year has seen volume of high VM wool rise above the usual levels for this time of the year. It makes filling orders of low VM wool more difficult with overall volume lower, high VM content as a result of the good season, and growers prepared to pass in wool if the price eases. It appears that demand is pushing back on the price levels, with buyers prepared to allow 9.1% to be passed in, however the rapidly reducing number of bales arriving in broker stores has exporters on edge. If a mill needs stock or the particular type of wool that is required is in short supply then prices quickly rally. It’s a volatile situation. The opportunity for wool growers is to apply a strategic approach to sales; that is use the wool broker to identify types that are selling well as well as types that are over supplied or lacking demand; and then sell or hold back as your situation allows. The recent market activity shows that a weak market one week is quickly replaced by a rally. 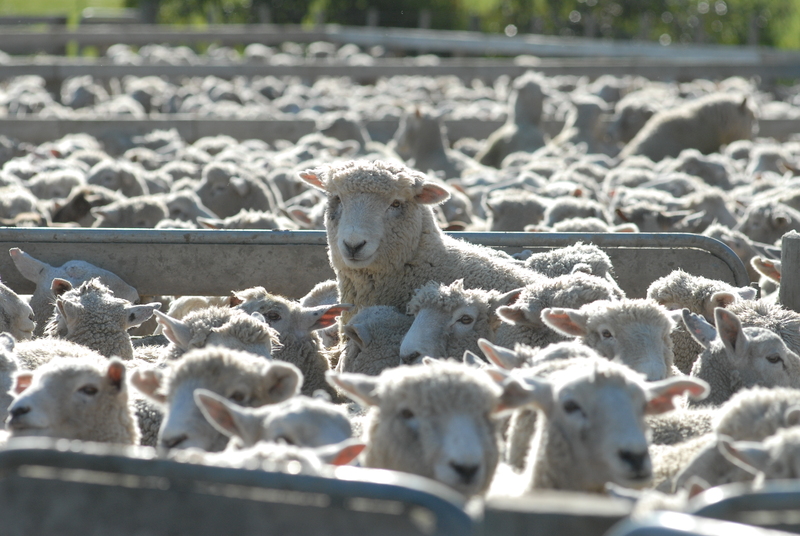 It is also a time to have any unsold wool listed on Wool Trade where buyers can access if required. 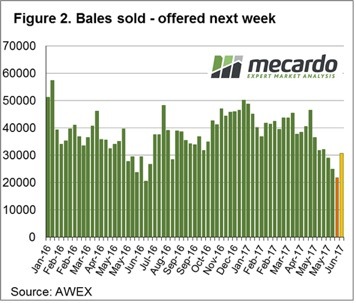 Western Australia is back selling next week; however less than 31,000 bales are listed at the combined selling centres before dropping back to sub 25,000 the following week. We can’t discount the effect of currency based on this week’s lead completely, so the effect of world events and elections could still see the A$ move; our view is that this is more likely to be down so generally positive for export markets.